BRYAN EATON/Staff photo. 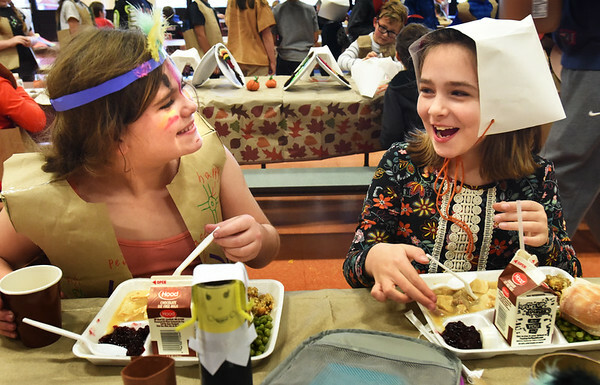 Sadie Sullivan, left, and Hayden Taylor, both 9, chat over a Thanksgiving feast at the Cashman Elementary School in Amesbury on Monday afternoon. The third-graders have been learning about the Wampanoag tribe's lives, how they built their homes and taught the Pilgrims how to harvest corn among other things.